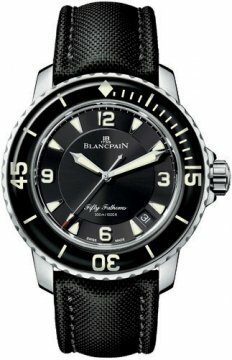 Blancpain watches are some of the oldest manufactured watches in the world. 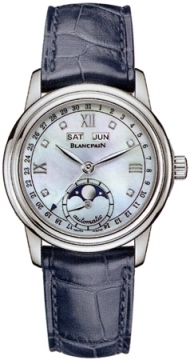 The company was started in 1735 by Jehan-Jaques Blancpain in Switzerland where it is located today. 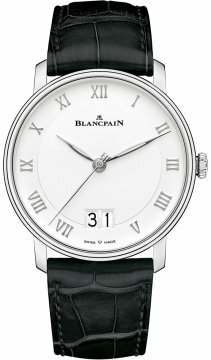 Since its inception it has strived to remain loyal to its mechanical routes and unlike many other manufacturers Blancpain does not manufacture any quartz watches. It has been responsible for many records in the watch industry such as producing the smallest movement ever made in 1984 and producing the thinnest movement ever made in 1989. Blancpain has not been without its troubles, the company went bankrupt in the 1970s which can mainly be attributed to the quartz revolution, and was not in existence again until 1983. 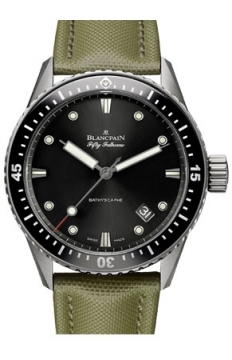 Blancpain watches are manufactured in very small quantities every year, each been built by a single watch maker, adding to their unique appeal. Today its range boasts such popular series such as the Fifty Fathoms, L-Evolution, Leman and Villeret. Blancpain is now part of the Swatch group.